I recently received a comment on my post on the Roman goddess Anna Perenna asking whether I knew of any connection between her and the Hindu Annapurna. I have to say I don’t know of any, but the names are suspiciously similar. Annapurna is an aspect of Parvati who is particularly associated with food. In Sanskrit, anna means “food,” and purna means completeness. There’s a myth associated with Annapurna, which in the longer form I’ve found begins with Shiva and Parvati playing a game of dice. Parvati wins Shiva’s trident, but when they play again, Shiva wins. His wife accuses him of cheating, but Vishnu shows up and informs them both that the whole game is an illusion under his control. 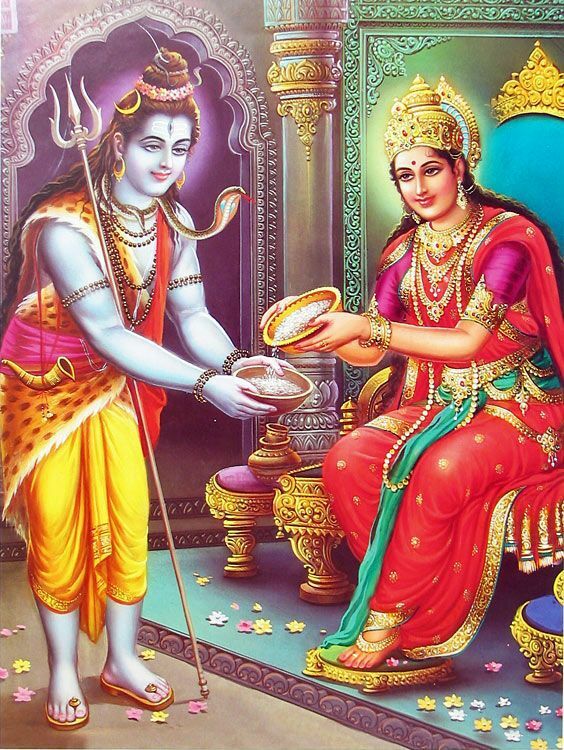 Shiva expands this into the concept that all material things were illusory, which Parvati countered by disappearing from the world and taking all the food with her. This resulted in all nature suffering, and Shiva ended up appearing before her with his begging bowl and apologizing. His conclusion was that food is necessary to sustain the body that houses the soul, and hence is necessary to achieve enlightenment. So does this mean the Hindu concept holds that gods have physical forms that require sustenance? It reminds me of how some of the same people who argue that the world is so beautiful and well-organized that there must have been a creator also insist their time there is only a brief experience in their eternal lives and look forward to its being destroyed eventually. Granted, these people tend to be Christians, not Hindus, but the question of whether the physical is actually real comes up in pretty much all belief systems. The compromise often seems to be that, even if the physical is only temporary, you should still do your best to sustain it and life a good life. Annapurna is generally depicted holding a vessel of porridge and a jeweled golden ladle. Prayers are offered to her when cooking and consuming food. 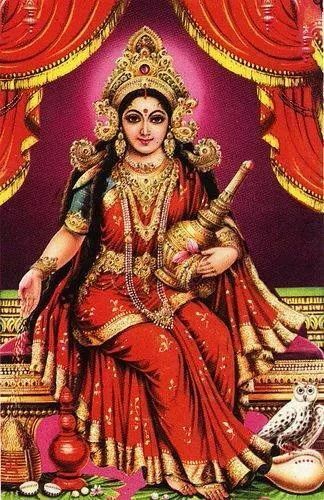 She is also the patron deity of Varanasi, formerly known as Kashi. I don’t know of any connection between this place and the Eastern European grain dish kasha, but Annapurna IS associated with grain, so who knows? As for the Roman goddess, she was connected to plenty and bounty, so maybe there’s something to the similar names. How much association did the Romans have with India back in Ovid’s time? This entry was posted in Dice, Etymology, Food, Games, Hinduism, Mythology, Names, Philosophy, Religion, Roman and tagged anna perenna, annapurna, materialism, parvati, shiva, vishnu. Bookmark the permalink.